Have you ever been confused about where you are in life at the present moment? Has there ever been a time in your life when you though to yourself, "Is God really going to come through?" Or maybe you thought, "Did God really plan things for me THIS WAY?" 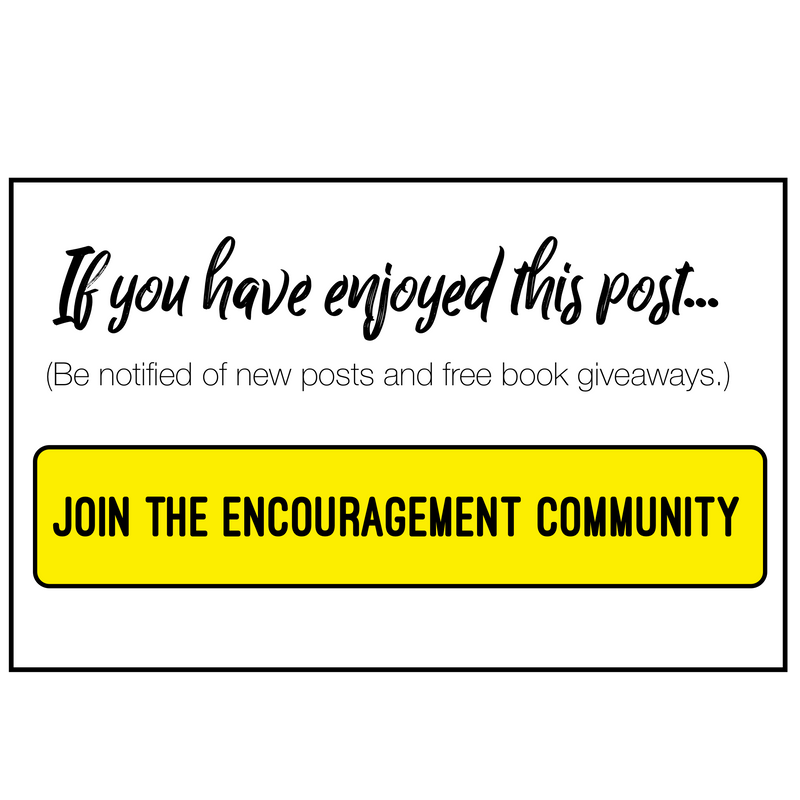 For all those people who have ever second guessed God’s word, or God’s promise, or God’s timing, this post series is for you. If the truth were told, often, we find ourselves buried up in places we don’t fully understand and certainly don’t appreciate as we should. Christians are often led to believe that with Jesus, every day is a mountaintop experience. But the fact of the matter is simply that this is NOT TRUE. We go through times and seasons, and trials and victories. We go through easy times and hard times. In life there are moments we enjoy and others we hate. As we look back over life, there are seasons we wish we NEVER would have had to walk through, and others, though not fully appreciated at the time, we NOW WISH could have lasted much longer than they did. What we learn about life and about serving God...or I should say, what we NEED to learn about life and serving God, is that there is a RHYTHM. If you simply look up the word, "rhythm" in the Merriam Webster dictionary, you find something amazing, if you apply its definitions to your life and your walk with God. Now, I’m going to carry on with this definition in a moment, because it is powerful and because it lends itself to the context of this post, but let’s pause here for a moment. How often have you had moments in your life that were strong? How about moments that were weak. As a believer, we have to understand that EVERYTHING we face is either, PART OF GOD’S PLAN FOR US, or is LEVERAGED BY THE LORD for getting us into his plan. In other words, there are strong times and weak times, but the the "flow" or the rhythm is still from God. There are moments of great power, and moments when it feels like defeat is imminent, but in ALL OF IT...God still has a flow and rhythm. Let’s continue with the definition. 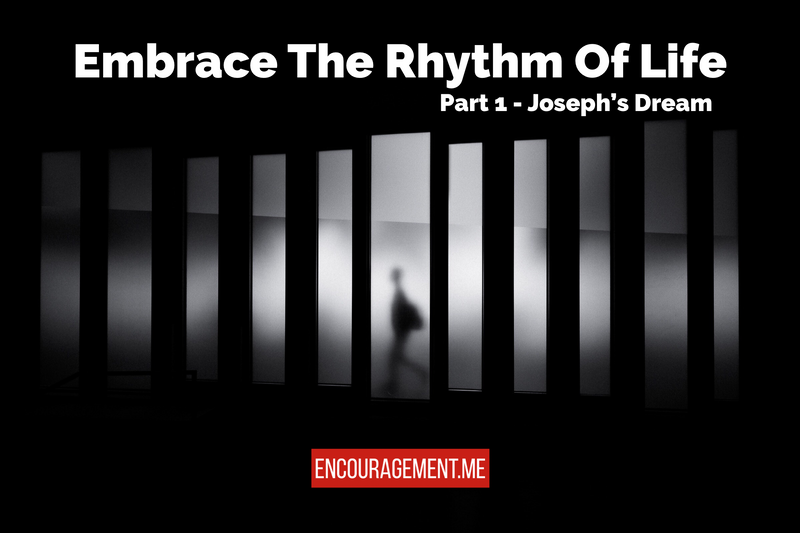 Before we are finished with this post, I hope that you begin to see that your life in God has a rhythm. It has moments that are accented, and sometimes the tempo lends itself to a fast pace and forward movement. Other times there is the simple rhythmic pattern of everyday life changed only by the fluctuation and variation of the flow of God’s Spirit. I would say that the Holy Spirit is God’s rhythm section in your life. He has the beat of heaven. He has the cadence of the Lord. He is the originator of the flow in your life. His rhythm in YOUR life is the most important thing you can ever understand. But let me further clarify this point, because there is more to it. EMBRACE THE RYTHM UNTIL YOUR TIME. I WILL EMBRACE THE RHYTM, UNTIL IT’S MY TIME. God has a plan, a purpose, a call, and a destiny for your life. EMBRACE THE RHYTHM UNTIL YOUR TIME. Here’s what the Bible says about it. We are to walk, to march, to stay in cadence with the Holy Spirit, as he creates the rhythm of God in our life. When we follow his lead, it empowers us and strengthens us, and develops us into a person who can overcome. For the flesh lusts against the Spirit, and the Spirit against the flesh; and these are contrary to one another, so that you do not do the things that you wish. But if you are led by the Spirit, you are not under the law. Now, that is some awesome scripture, but it doesn’t stop there. And those who are Christ's have crucified the flesh with its passions and desires. If we live in the Spirit, let us also walk in the Spirit. Let me read verse twenty-five in the NIV to bring further clarity. So many times we have the potential to miss God’s plan, because we get out of step with God. We get ahead of the rhythm. We get behind the rhythm. We stop, even though the rhythm is moving us on. The rhythm seems dull and pointless at times. The daily beat can easily become the daily grind that seems as though it will wear down your resolve to move forward. But the rhythm is all about keeping in STEP with the Holy Spirit’s timing in your life. That brings me to the story of a young man who had tremendous potential, and also tremendous possibility of missing the potential and never fully realizing God’s plan in his life. But over time he learned to embrace the rhythm of WHERE HE WAS, and he leveraged the rhythm of WHERE HE WAS, and allowed it to take him to WHERE HE COULD BE. Now Jacob dwelt in the land where his father was a stranger, in the land of Canaan. This is the history of Jacob. Joseph, being seventeen years old, was feeding the flock with his brothers. And the lad was with the sons of Bilhah and the sons of Zilpah, his father's wives; and Joseph brought a bad report of them to his father. Now Israel loved Joseph more than all his children, because he was the son of his old age. Also he made him a tunic of many colors. But when his brothers saw that their father loved him more than all his brothers, they hated him and could not speak peaceably to him. If ever there was a bad family dynamic, this is it. Jacob wasn’t right to love Joseph more than his other children. Joseph wasn’t right to try to use the dynamic to his advantage. But nevertheless, God had a plan for Joseph. You may even be familiar with the story. Joseph, however, had one small problem that seemed to plague his life: JOSEPH TRIED TO GET AHEAD OF THE RHYTHM. Now, we will learn from scripture that God USED Joseph’s problems and leveraged them for HIS good and the GOOD OF MANY OTHERS. Now Joseph had a dream, and he told it to his brothers; and they hated him even more. So he said to them, "Please hear this dream which I have dreamed:  There we were, binding sheaves in the field. Then behold, my sheaf arose and also stood upright; and indeed your sheaves stood all around and bowed down to my sheaf." And his brothers said to him, "Shall you indeed reign over us? Or shall you indeed have dominion over us?" So they hated him even more for his dreams and for his words. Then he dreamed still another dream and told it to his brothers, and said, "Look, I have dreamed another dream. And this time, the sun, the moon, and the eleven stars bowed down to me." So he told it to his father and his brothers; and his father rebuked him and said to him, "What is this dream that you have dreamed? Shall your mother and I and your brothers indeed come to bow down to the earth before you?" And his brothers envied him, but his father kept the matter in mind. Sometimes you can speak out God’s plan for your life TOO SOON; and that’s exactly what Joseph did. There are times when you have to learn to just EMBRACE THE RYTHM UNTIL YOUR TIME. EMBRACE THE RHYTHM UNTIL IT DOES. Now, is case you don’t remember the rest of the story...Joseph’s brothers were so mad and put out with him that they SOLD HIM AS A SLAVE. He ended up in Egypt, but God was with him. Joseph ended up being wrongly accused, but God was with him. Joseph landed in prison for things he had not done, but God was with him. Through every season of Joseph’s life, you can see not only were God was with him, but that there was an ongoing rhythm from the Holy Spirit in his life. Jospeh was learning to follow the RYTHM. He was learning to keep in step with the beat. The Book of Psalms provides an awesome paraphrase of Jospeh’s life. He is the LORD our God; His judgments are in all the earth. He remembers His covenant forever, The word which He commanded, for a thousand generations,  The covenant which He made with Abraham, And His oath to Isaac,  And confirmed it to Jacob for a statute, To Israel as an everlasting covenant,  Saying, "To you I will give the land of Canaan As the allotment of your inheritance,"  When they were few in number, Indeed very few, and strangers in it. When they went from one nation to another, From one kingdom to another people,  He permitted no one to do them wrong; Yes, He rebuked kings for their sakes,  Saying, "Do not touch My anointed ones, And do My prophets no harm." Moreover He called for a famine in the land; He destroyed all the provision of bread. He sent a man before them- Joseph-who was sold as a slave. They hurt his feet with fetters, He was laid in irons. Until the time that his word came to pass, The word of the LORD tested him. Say that with me, "until the time." There is a sovereign "time" for you in God’s RHYTHM. It might seem like things are moving slow, or maybe that they are going too fast, but either way, EMBRACE THE RHYTHM of God in your life. Learn to keep in step with God’s Spirit and his rhythm. Joseph learned to keep in step by the things he went through. And when it was HIS TIME, Joseph came out on top. God overcame his past, his present, and gave him a future. Joseph succeeded in life and even in death because he stayed in step. God will fulfill his plan, purpose, destiny, and calling in your life. God will break through for you, but you must be IN STEP with the Spirit if you are going to be in the right place at the right time. I’m going to use this point over and over for the next few posts. I hope it gets deep down into our spirit. Now, let me finish with a few questions. What do you do in the process? During the rhythm what action do you take? How do you embrace the rhythm of God’s Spirit in your life RIGHT NOW? Here’s the answer: KEEP ON PREPARING. As we move through this series, there are more answers to these questions, but for today, PREPARATION is the answer. You have to KEEP PREPARING, no matter what your season, or your problem, or your circumstance. Keep on staying in step. Keep on learning to march in line. Keep on allowing God to teach you THROUGH the DIFFICULTIES. If you will keep on preparing, you will be READY for your TIME when it comes.